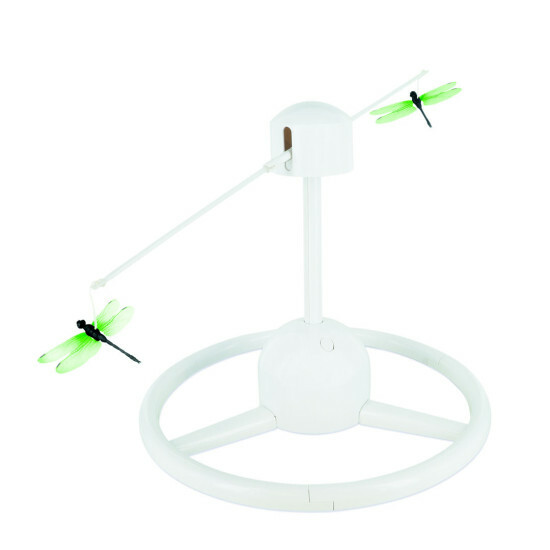 The PetSafe® Flitter is an automatic teaser toy with two dragonfly teasers that fly around and around, enticing your cats to catch them. 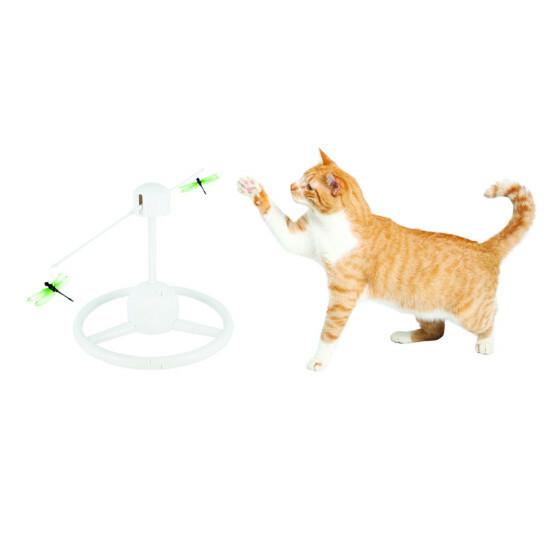 The Flitter is great for one or even two cats to play with at once. 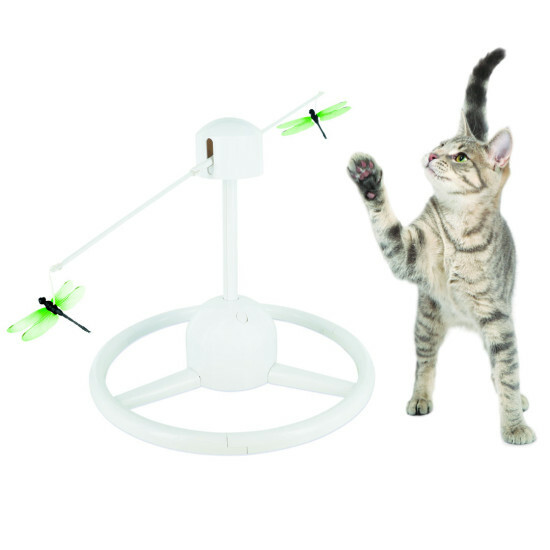 The random movements keep cats engaged and the dangly teasers are the perfect bait. Play While You Are Away mode allows you to create playtime for your cat, even while you’re away.